However, just because you are careful does not mean that you can assure that all other drivers on the road will do the same thing. If you are in a car crash, it may not be your fault, and you should not be held responsible for the damages caused by the ignorance or mistakes of other drivers. 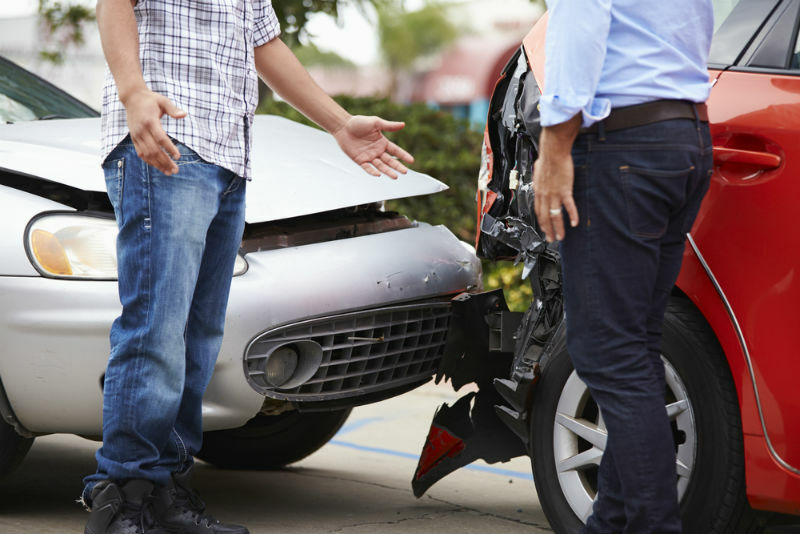 In such cases, you should consider protecting yourself by filing a car accident claim. There are so many damages, pains and frustrations that may arise as a result of a car accident, and it's best to guard your life above all. While you can't always avoid driving in the rain, the slippery, treacherous road conditions caused by heavy rains should be avoided when at all possible. If visibility is too low to drive or the roads seem particularly slick, you should pull over and wait until the storm passes. It may seem obvious, but it bears repeating. Red always means stop. Even if it seems like no other cars are coming, you can cause a serious accident by running a red light and you will be breaking the law. We've heard several excuses from busy entrepreneurs trying to run through red lights while thinking about work, from those legal contracts to investor relations, and at the same time literally trying to answer to work emails. Understand that life is more important than all these issues combined and it's best to be safe than sorry. Everyone makes mistakes, but lapses in judgement while driving a car can cause horrible accidents. Be aware of street signs warning of one-way streets or other irregularities, especially in unfamiliar areas. When people don't get in the proper lane to make a turn, use signals properly, or follow traffic signals, accidents happen. Always look out for traffic signs and obey the proper right-of-way when you make a turn. Teens don't have the experience to know what to do in unsafe conditions and that naïveté causes accidents. If you have teenagers, make sure that they have had a defensive driving course, do not permit cell phone use while driving, and limit the passengers they can take with them in the car. While alcohol is the culprit we usually associate with DUIs, drugs, including marijuana, prescription pills and other illegal drugs also cause terrible accidents. Never drive if you are under the influence of any drug, prescribed or not. Potholes are very frustrating for drivers because sometimes they can't be avoided. Try to drive around potholes to avoid damaging your car, when you can, but do not swerve into another lane if cars are coming. Despite the fact that there are some laws that could work in your favor, don't take chances, especially with the heartbreaking car accident statistics from previous cases. Anyone who has ever heard someone tell about hitting a deer knows that this is a big danger. For this reason, take extra caution when you see an animal crossing sign and always use your high beams when travelling in rural, woody areas where wild animals are common. Sometimes the way a construction zone is set up can be confusing. Follow the cones as well as possible and be aware of other drivers who may be confused. It is especially important to drive slowly in these areas to avoid even the smallest accidents from occuring. Before you drive, think about how wonderful life is, your loved ones (even if you've sorted your estate planning), your business and the other great dreams you still have to achieve in life. Be proactive by taking precaution and removing all forms of distractions that might hinder your focus along the way. Life is worth living!